In brief: these shadows feel like a pressed wet pigment, very silky, very blendable. They can be applied wet or dry. 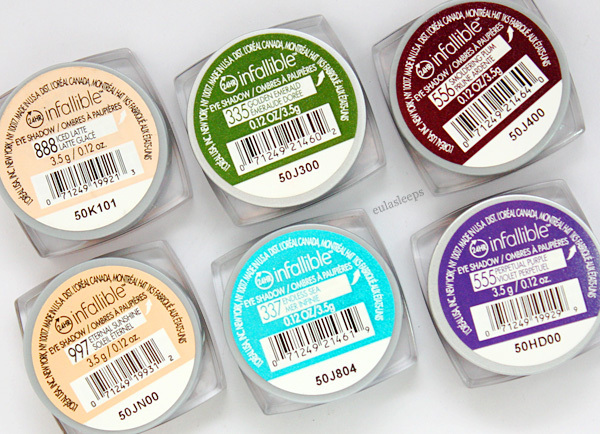 The formula varies with each shade, but for the most part they've got good color payoff and are long-wearing when used over primer. They're packaged in light plastic, feel a bit flimsy but great for keeping your luggage within the weight limit. I like that the labels match the color of the pigment. Each jar comes with a little stopper (clearly marked DO NOT DISCARD) to pack the pigment in. On to the shades! 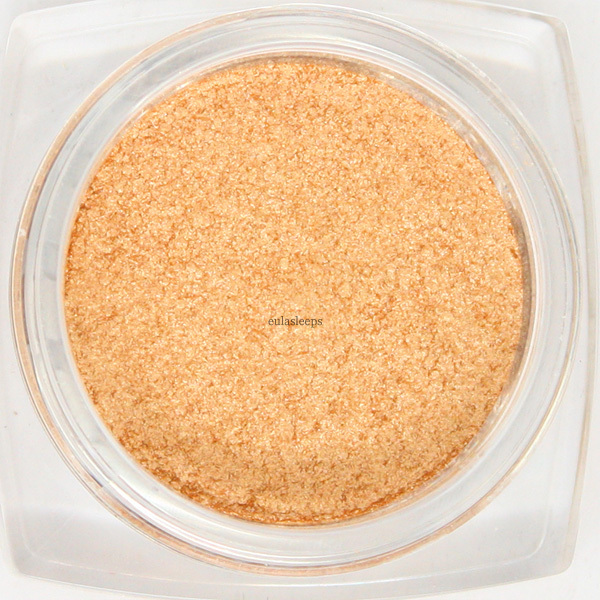 Eternal Sunshine is a bright yellow gold with a metallic finish. 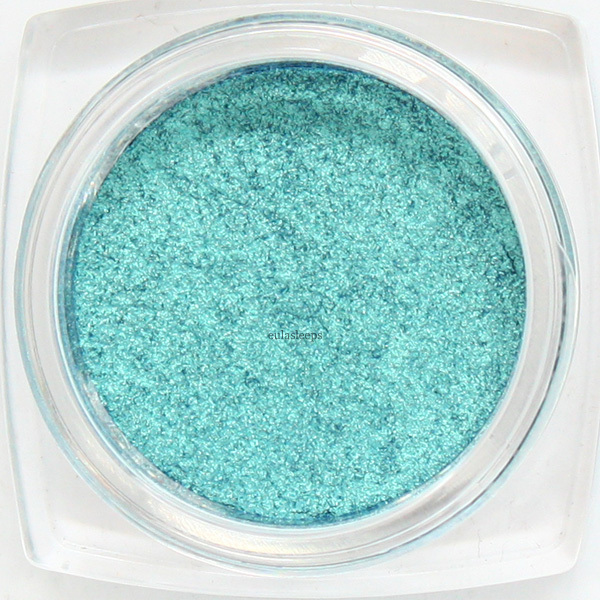 Endless Sea is a bright aqua-teal that pulls a little cool. 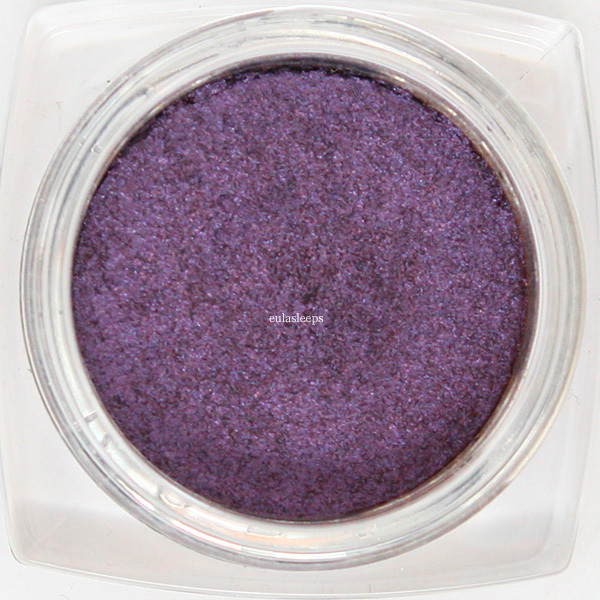 Perpetual Purple is a a vivid violet with a multi-colored shimmer. 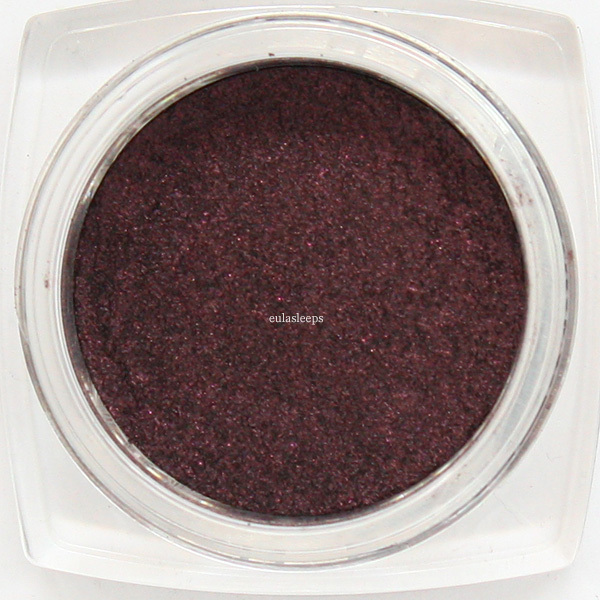 Smoldering Plum is a deep, dark purple with a subtle sheen. And finally, the two shades I'm keeping! 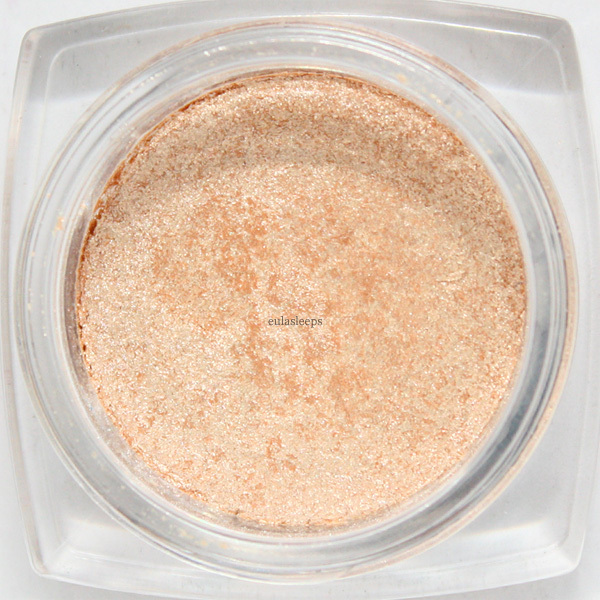 Iced Latte is a light frosty champagne color that I use as either a highlighter or an overall lid wash. Read my full review of this shade here. 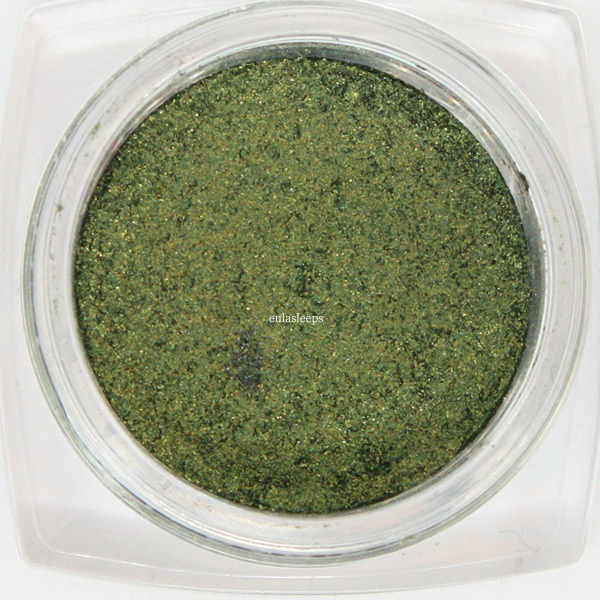 Golden Emerald is a shimmery forest green with subtle gold microshimmers. It's a complex shade that looks great on brown eyes. 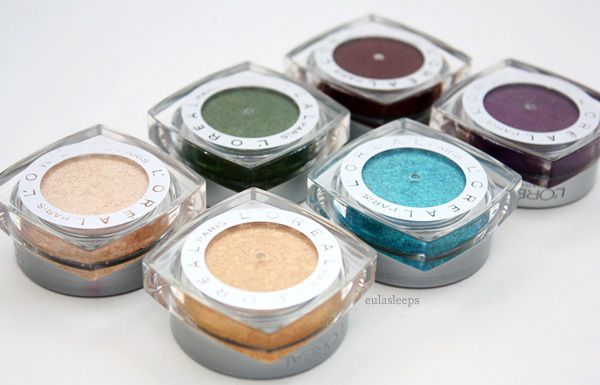 As you can see from the swatches, these are quite pigmented even with one swipe. 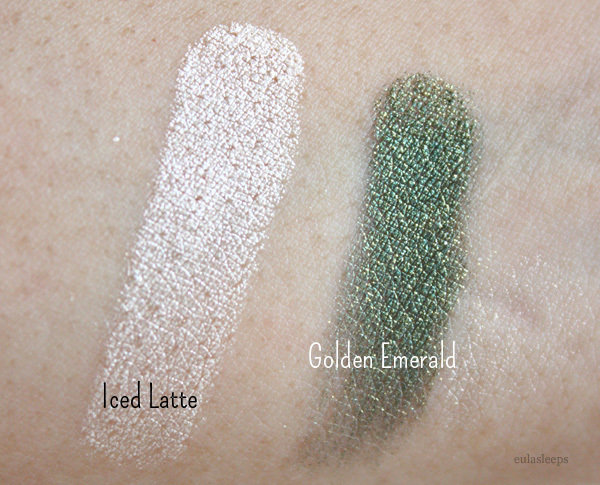 Iced Latte as a wash, Golden Emerald on the crease, no primer. Look how intense! 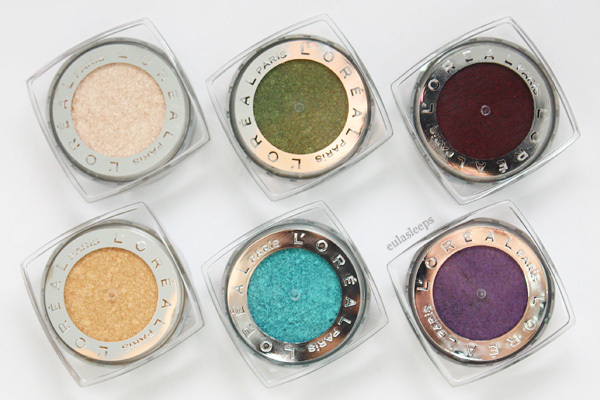 These are great for a quick eye look. Apply the shadows with fingers, then just swipe across the lid with a clean finger to blend. No brushes needed! 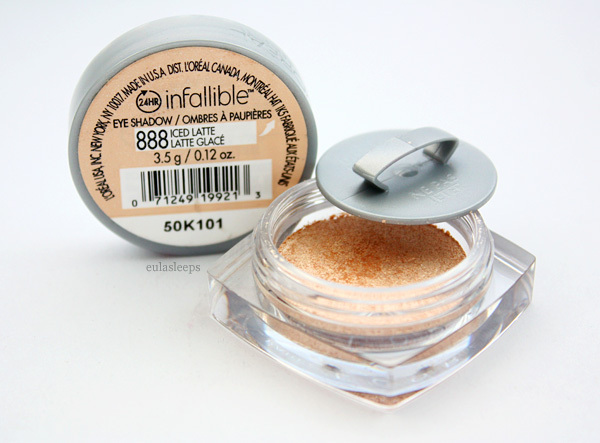 The L'Oreal Infallible Eye Shadows retail anywhere from US$ 6.99 to US$ 8.29 at most drugstores. I've found that they're cheaper at Target. I don't believe they're available locally yet, but you're in luck because I'll be doing a quick giveaway of the remaining 4 shades so do check back.